Less than an hours drive west of where I sit typing this lies Matamata, known to the world at large as Hobbitville, having played home to Tolkien's pint-sized heroes in the blockbuster Lord of the Rings trilogy. 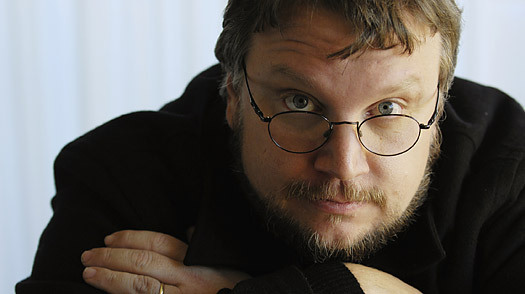 Now, its reappearance in the two film prequel adaptation of The Hobbit, has hit another curveball, with todays news Guillermo Del Toro has quit as director, but will stay on to write the features screenplay. The decision came as Del Toro, originally contracted for three years work here in New Zealand, was having to look at a total of six years exclusively in order to see film, which has yet to be officially greenlit by a financially troubled MGM, through to its final stages. With the movie looking to encroach on his other projects, the Mexican filmmaker had to make what he described in a press release as "the hardest decision of my life". "After nearly two years of living, breathing and designing a world as rich as Tolkien's Middle Earth, I must, with great regret, take leave from helming these wonderful pictures. I've been privileged to work in one of the greatest countries on earth with some of the best people ever in our craft and my life will be forever changed." Del Toro steps aside, having helped in a large volume of completed pre-production. All the creatures have been designed, as have the sets and wardrobe. Animatics are done and battle sequences planned. Sir Peter Jackson will meet with MGM to discuss a new director later this week, and doesn't anticipate any delay to the ongoing production work on the prequels, which are due to be released in 2012 and 2013.
oh man, I certainly hope all goes well in finding a new director. Thanks for the comments guys - Del Toro definitely leaves big shoes to fill.. surely with such a classic book adaptation involved they will get someone whose vision is equally strong.